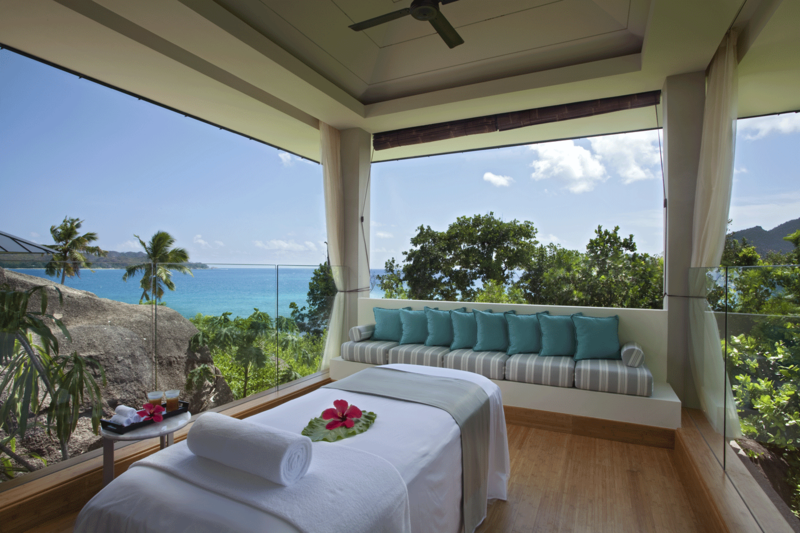 Raffles Praslin, Seychelles opened in February 2011 and was the first Raffles purpose-built resort. Christoph G. Ganster, General Manager, held various positions in top resorts around the world, including in Seychelles, Maldives and Mauritius, and previously in Ukraine as General Manager, Fairmont Grand Hotel Kiev. Raffles Hotels & Resorts is an award-winning, luxury international hotel company with a history dating back to 1887 with the opening of Raffles Hotel, Singapore. The portfolio currently comprises nine luxurious properties, from secluded resorts to city hotels in key locations around the world. With a compelling mix of cultures and styles, every hotel in the Raffles family has its own individual personality, with its own story to tell and its own sense of place. However, each one is proud to draw on the timeless essence of Raffles – to deliver thoughtful, personal and discreet service to well-travelled guests. An oasis in the heart of the Indian Ocean, Raffles Praslin, Seychelles is the perfect place to escape the everyday, to explore your senses, and to reconnect—with yourself and those you love. Cradled in the paradise that is Praslin, contemporary architecture and laid-back luxury make this place sublimely Seychelles. The Raffles Praslin Seychelles is an all-villa resort spread over 30 acres of land. Praslin is famous for its stunning beaches, crystal clear waters and the Vallée de Mai UNESCO World Heritage Site. The resort features 86 spacious pool villas, a selection of superb restaurants and a dramatic rooftop lounge. 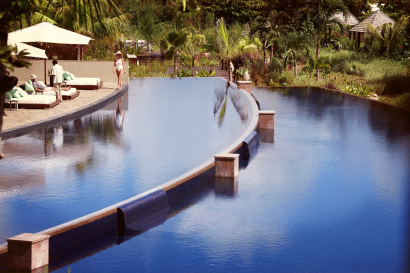 86 villas designed in a contemporary style, each with a private plunge pool, balcony, outdoor pavilion and butler service available round-the-clock. They are among the most spacious in the Seychelles (at a minimum of 125 m²) and are spread out across gentle slopes to provide the best views and privacy. 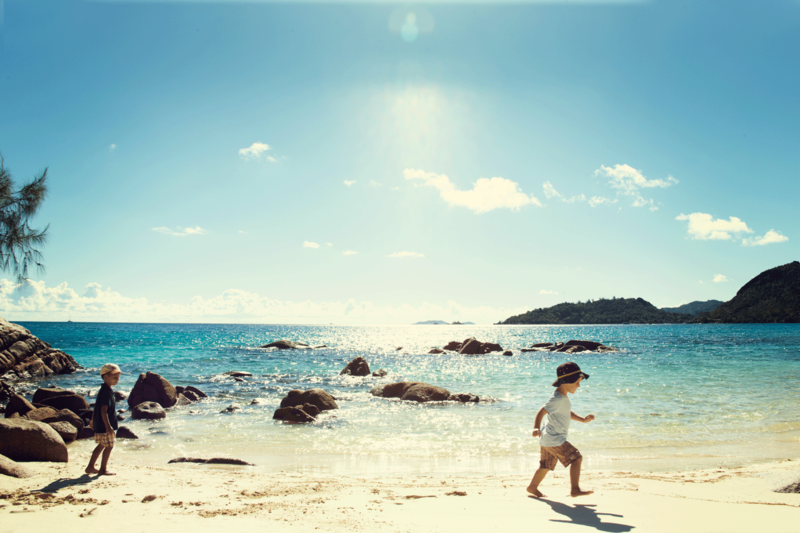 You have the option of taking relaxing strolls through the resort or using our buggy service. Combining the best of the local culture and cuisine with dishes from around the world, each restaurant and bar has its own unique atmosphere and setting – something to suit every mood and every occasion. • Losean Restaurant – Offering buffet breakfast and buffet-style themed evenings and featuring contemporary Mediterranean cuisine with influence from the Indian Ocean. 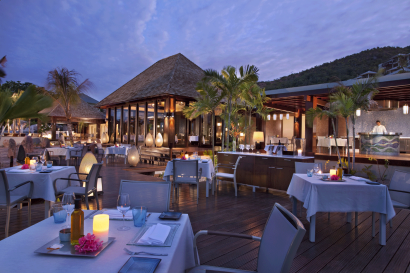 • Curieuse – Seafood Restaurant with an à la carte menu of seafood specialities, including locally caught fish and lobster. 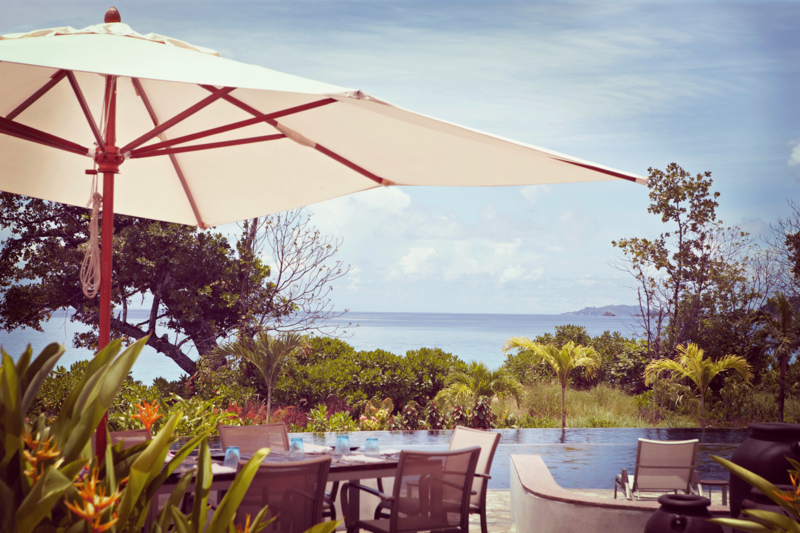 • Pool Restaurant & Bar – Relaxed poolside dining, including light meals and sandwiches. • Danzil Lounge Bar – Our main bar offering refreshing cocktails, wines, spirits and aperitifs. • Takamaka Terrace – Rooftop lounge with a wide array of beverages and shishas. • Private and alfresco dining – choose to dine at your favourite location, or if you are staying in a Villa Suite let one of our chefs come to cook for you. 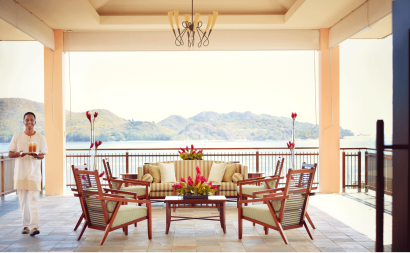 Alternatively take Creole Cooking or cocktail classes, enjoy a sunset cruise with sushi and Champagne or have an aperitif at from a vantage point that overlooks one of the most beautiful beaches in the world. The Raffles Spa is a haven of peace, relaxation and rejuvenation. 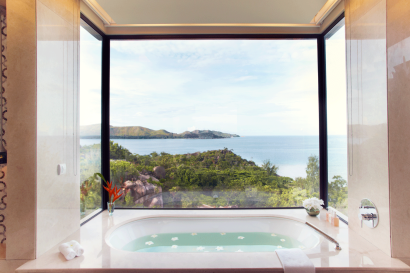 It features 13 luxurious Treatment Pavilions, each showcasing the spectacular view of the blue ocean, tropical gardens and dramatic granite boulders. Two spa suites, a first in the Seychelles, are fitted with steam showers, Japanese soaking tubs, and observation decks where guests can enjoy stunning vistas in privacy. 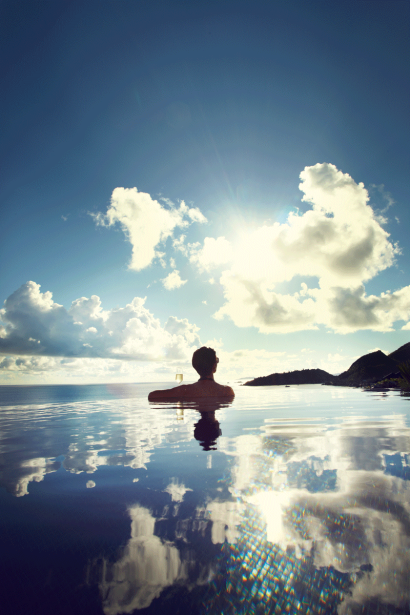 At 1,234 m² this is the largest spa in the archipelago, and the closest to the Indian Ocean. 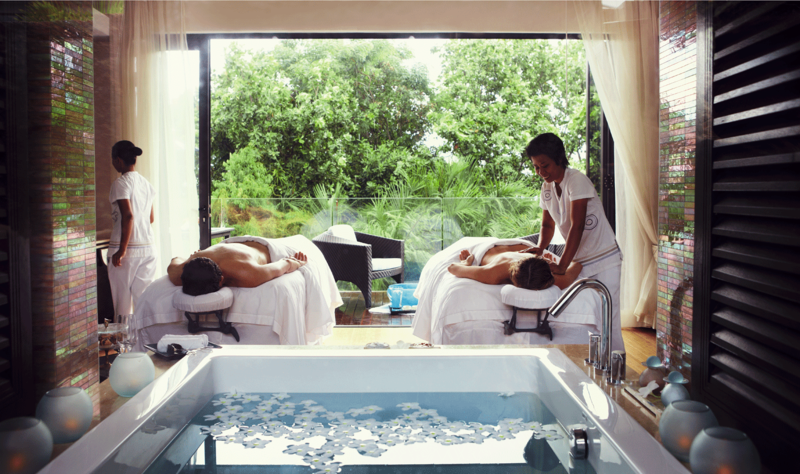 Raffles Spa takes its inspiration from the pearl – found in abundance in local waters. It has a reputed ability to calm the spirit, open the heart chakra, stabilize emotions and rejuvenate the skin. The perfect destination for a special event – be it pleasure or business, a board meeting, an anniversary or a gala dinner. We’ll make it happen exactly the way you want it. 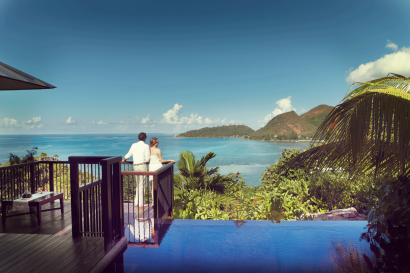 Raffles Praslin will make your special event one to remember. We can even arrange entertainment to fit your event – whether a solo guitarist, a live band or a “Moutya” – a traditional cultural show. 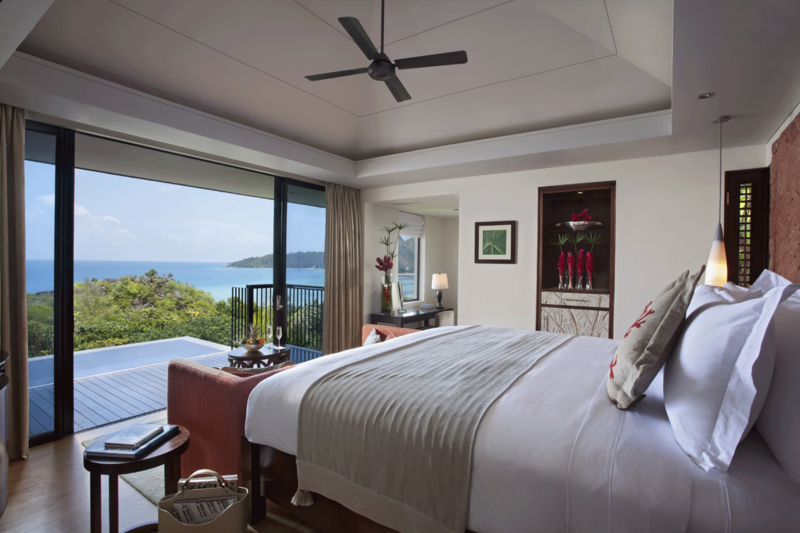 Raffles Praslin employs 254 persons.